We see a lot of people who are doing amazing things with the new Power BI APIs. In today’s post, we have with us Rui Quintino. Rui leads the Business Intelligence and Analytics team at DevScope. Rui and his team have been hands on with the Power BI APIs, and have even integrated Power BI into one of their shipping products! So we’re excited to share his perspective and learning based on his experiences. [Power BI]: Can you tell us a little about what DevScope is doing with Power BI? Here at DevScope we are extremely excited with the new Power BI roadmap and capabilities. We believe it will be disruptive and we count on helping our BI customers unlocking powerful BI/IoT opportunities. Our R&D efforts started early, exploring all possible ways to connect, extend and push data to Power BI. We have now tested several scenarios including publishing data from custom LOB solutions, SQL, PowerShell and even Azure Event Hubs plus Stream Analytics for real time dashboards. We will be sharing more of these soon, but you can already get the PowerShell API Power BI modules on our GitHub (coded with passion by my team mate Rui Romano J), test the new Send To Power BI Excel App and also SmartCharts now allows for single click send and sync from Excel to Power BI. The new features available in the preview are truly amazing, fully HTML5 compliant, new visualizations, web report and dashboard authoring, on-premises Analysis Services connector, new apps for every mobile platform and particularly the new real time dashboards together with the new developer data publishing APIs allow Power BI to reach every dataset we can possibly think of, enterprise, team and even personal data. All this with minimum development/modeling effort. For our existing BI customers and solutions we believe Power BI integration will bring huge benefits in productivity and data analysis. Together with Azure Data platform: Data Factory, Azure Machine Learning and Stream Analytics, we hope to enable powerful IoT scenarios through Power BI. We are also working on several Power BI connectors to deliver improved data analytics for our SaaS solutions. [Power BI]: What’s next for these projects? 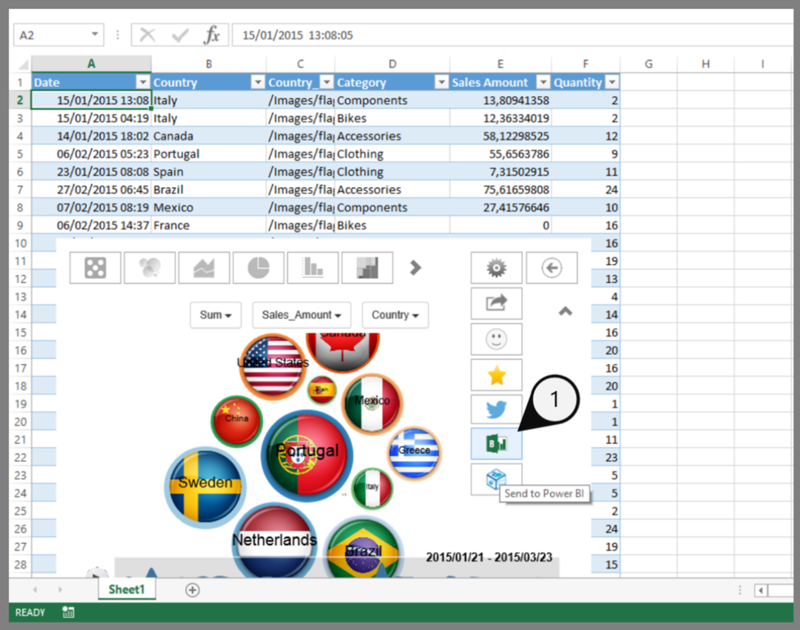 While we proceed with our Power BI R&D efforts we will be sharing more tools and samples to make Power BI integration absolutely pervasive, there will be no place for data to hide! J We are also anxiously waiting for next release of the APIs to see where we can take this, but we would like to be publishing complete models and connectors anytime soon, all through the APIs. The enthusiasm with this new Power BI release is very visible through the community, and we have been contributing with lots of feedback. 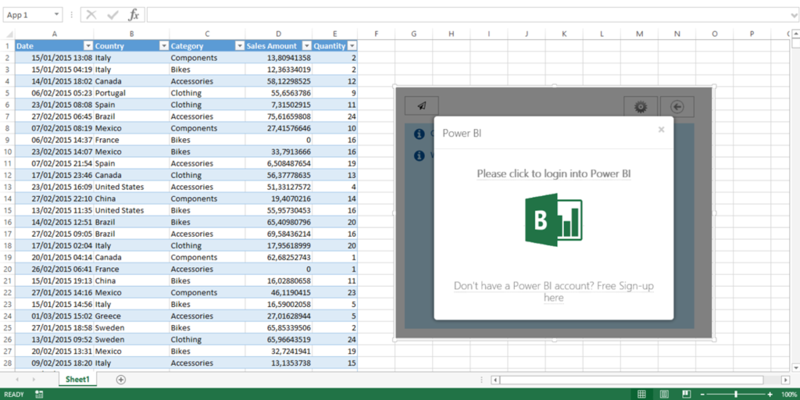 But specifically for the Power BI developer story, if I had to choose only one I would say either be able to publish data to existing/PowerPivot models or be able to use the APIs to publish full models (table relations, calculated measures, if possible reports and dashboards). Get ready! With such a powerful feature set and capabilities, no office 365 dependency, a free tier and extremely competitive pricing we expect to see massive adoption of Power BI for every data analytics needs. My bank for sure J then we could manage and track the family budget much more effectively. Second vote would be for Office Apps Seller Dashboard stats. Power BI will allow developers and software vendors to increase the focus on the business/solution features, leveraging Power BI models and APIs to easily integrate a powerful, cutting edge analytic platform for all their data analysis needs. Not wasting more time with custom coded and very limited analytic features. Connect data and powerful analytics, not lock them together. 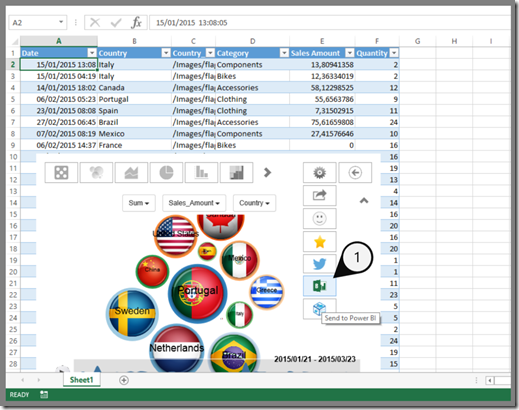 [Power BI]: Thank you Rui!